Prunus serrulata ‘Kanzan’ – Cherry tree with serrated leaf edges of the Kanzan variety. Intensely rich pink flowering, one of the most lush and romantic trees around. When it starts flowering, it steals the show. Enjoy it while it lasts, as the flowers soon shed. Leaving an irregular tree with very few leaves. This tree is all in on its flowers. Cherry blossoms are closely tied with Japan, and that region is where this tree originated. The Kanzan variety which was modeled here has the most densely packed flowering. 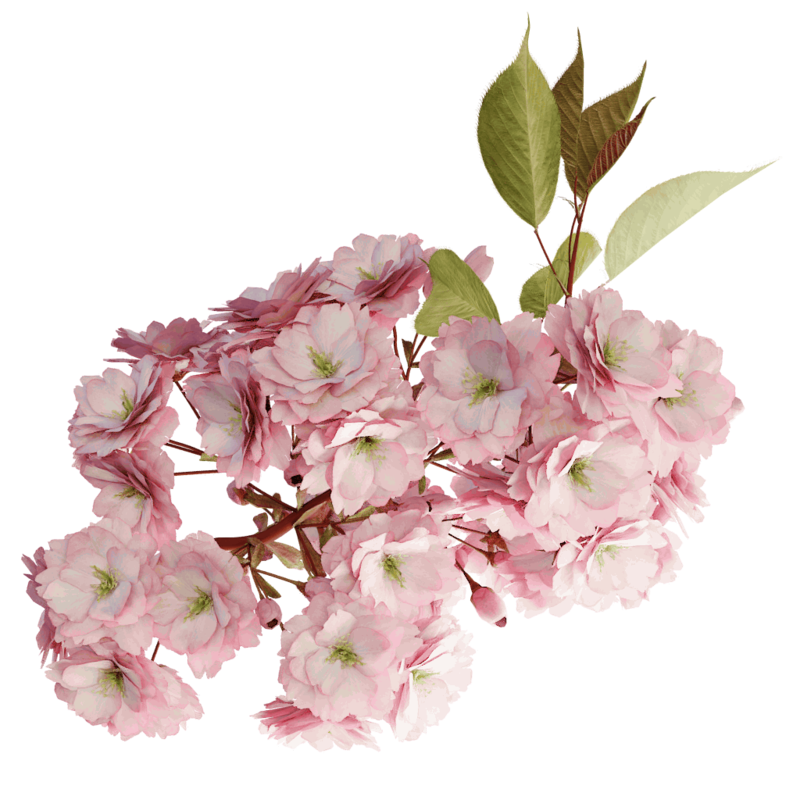 Add a burst of color to your renders and start growing cherry trees with this twig. Kanzan cherry trees evolve into wide shapes. Many times it develops multiple stems and forms a wide shrub shape. Every twig on this tree produces flowers, but the tree clearly favors current branches over side branches. Apical twigs grow much longer and carry more flowers, than lateral twigs. To capture this characteristic, this twig is actually a set of the two different twigs.